Sonam Gyatso (1543–1588) was the first in the lineage of Dalai Lamas to bear the Title. 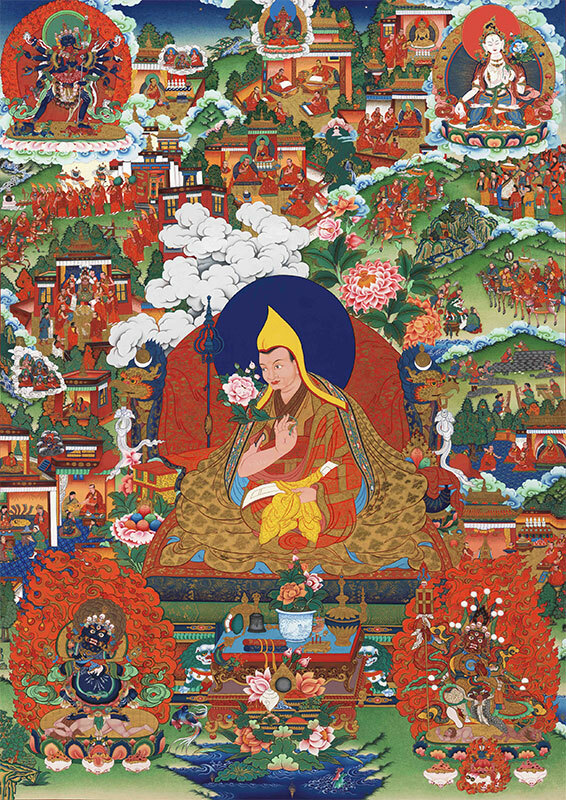 Born near Lhasa in 1543 as Ranu Shechok, he was recognized as the reincarnation of Gendun Gyatso and subsequently enthroned at Drepung Monastery by Panchen Sonam Dragpa, the 15th Ganden Tripa, or throne holder, head of the Gelugpa School, who became his tutor. 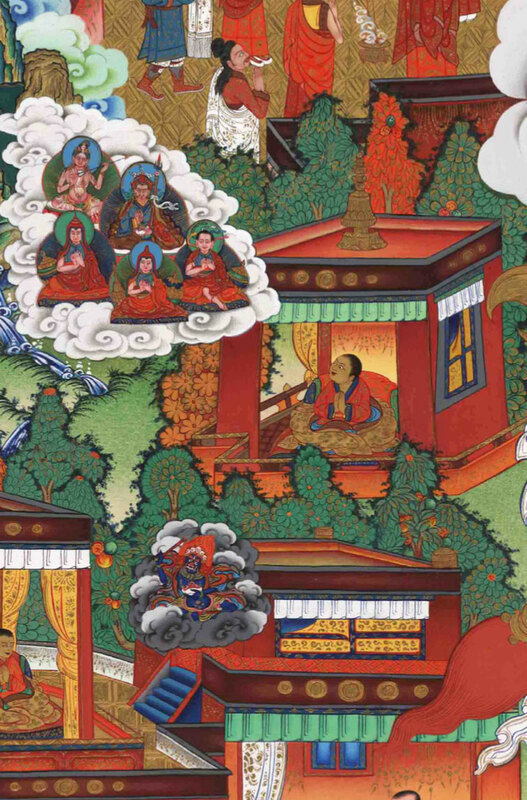 Panchen Sonam Dragpa was a great scholar whose texts still serve as the core curriculum for many Gelugpa monasteries. Sonam Gyatso studied at Drepung Monastery where he was enthroned as its abbot. Later, he was also enthroned as abbot of Sera Monastery. Like his predecessor Gedun Gyatso, he also an adept of Nyingmapa tantric doctrines. 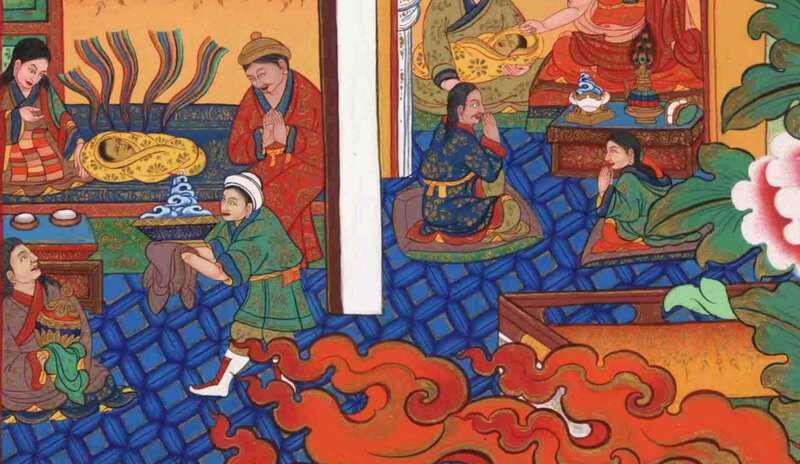 In the 1570’s, Sonam Gyamtso was invited to Mongolia by the ruler Altan Khan, to teach and spread Buddhism. Altan Khan built Thegchen Chonkhor, Mongolia’s first monastery, and initiated a massive program of translating Tibetan texts into Mongolian. Within 50 years Tibetan Buddhism had spread throughout Mongolia and tens of thousands of monks were ordained. Altan Khan bestowed on Sonam Gyatso the title of Dalai Lama, meaning in Mongolian ‘Ocean of Wisdom’. This title was posthumously given to Sonam Gyatso’s two previous incarnations. The alliance with the Mongols would later prove instrumental in establishing the Gelugpa order as the rulers of Tibet during the reign of the Great Fifth Dalai Lama. Altan Khan was succeeded by his son Sengge Düüreng who continued to diligently sup- port Buddhism, and two years later the 3rd Dalai Lama made another visit to Mongolia. On his way, he founded the monastery of Kumbum at the birthplace of the great teacher and founder of the Gelukpa order, Je Tsongkhapa. Sonam Gyatso had also founded Lithang monastery in Eastern Tibet, as well as the small monastery Phende Lekshe Ling in 1565, which later became known as Namgyal Monastery the personal monastery of all the subsequent Dalai Lamas. In 1585 he travelled back to Mongolia where he converted more Mongol princes and their tribes. 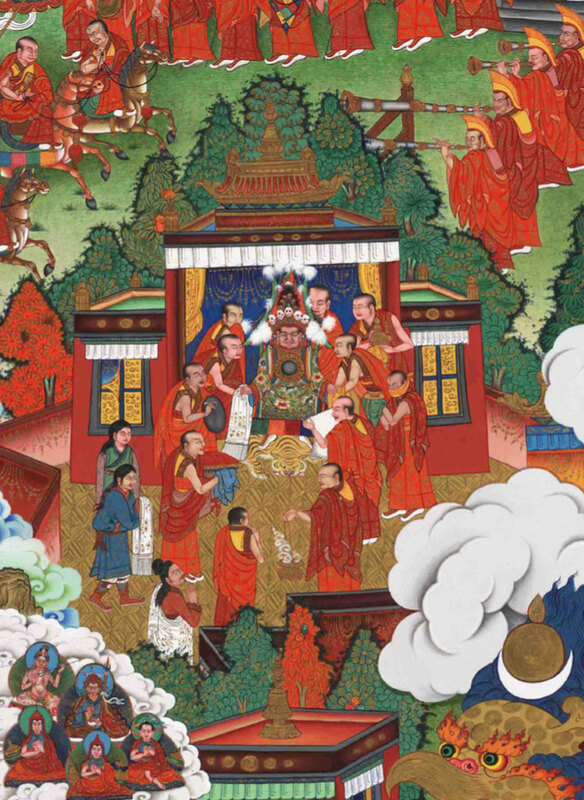 In 1588, Sonam Gyatso was invited to visit the Ming emperor. He accepted but fell ill and died in Mongolia in 1588 at the age of 45. 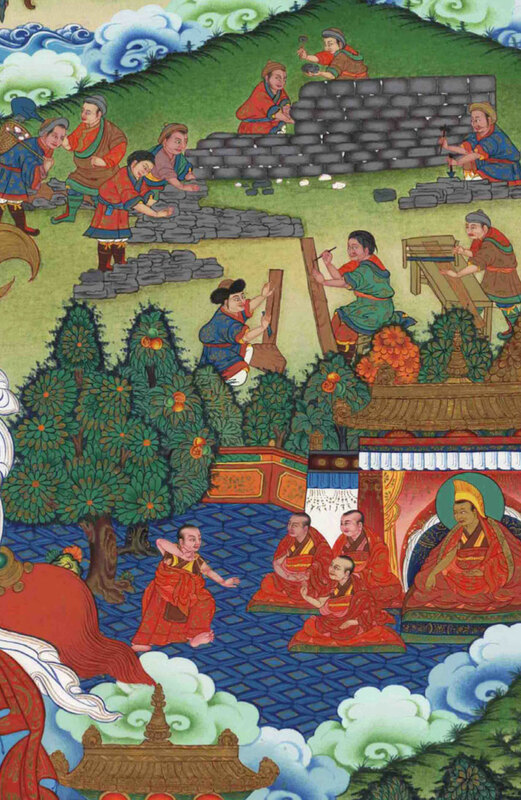 The Oracle of Nechung in trance advising Subrabpa, the chief attendant of the Second Dalai Lama to journey to the village where he believed the incarnation of his teacher had taken birth. Young Ranu Shechok has a vision of Padmasambhava, Tilopa and Je Tsongkhapa. The building of Lithang monastery in Eastern Tibet. Monks practice debate in the presence of the Dalai lama in the courtyard of the completed monastery.